On Saturday we had my family Christmas and I received the best, most thoughtful gift from my Aunt Betty. 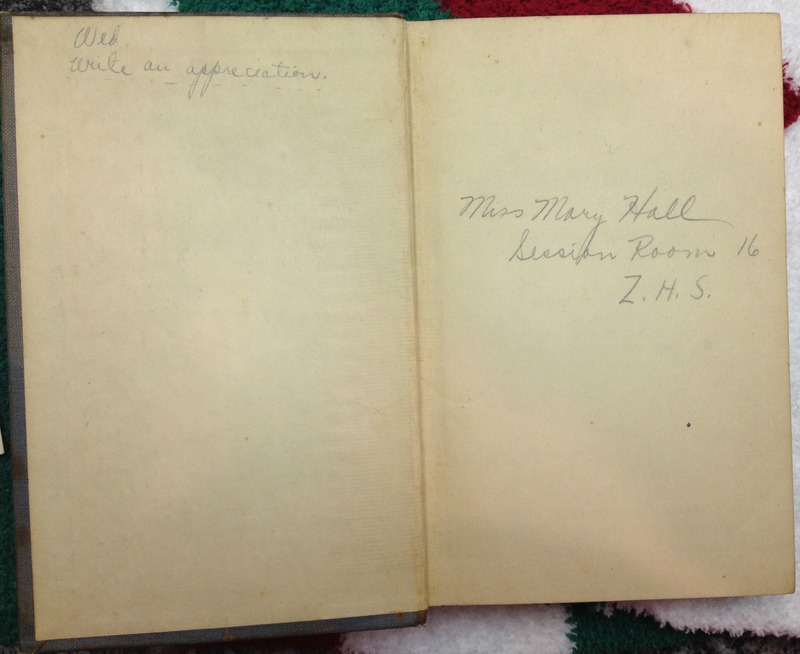 My great-aunt Mary was an independent woman who never married and she loved books as much as I do. 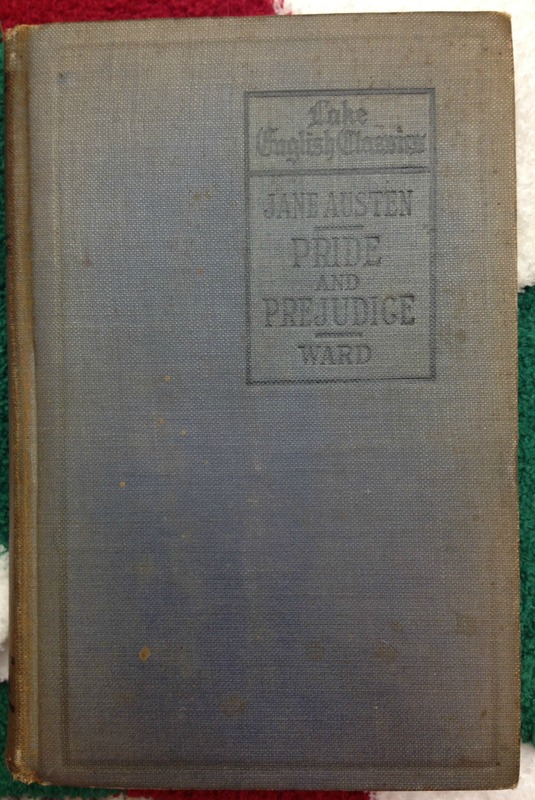 This 1919 edition of Pride & Prejudice is the one that she used in high school! There are a few homework assignments and notes sprinkled throughout. I love it and love that my Aunt Betty (a retired elementary school librarian) chose me to give it a new life. What book is most special in your library? Oh my gosh, what a treasure! I don’t own anything nearly that special. That is extremely cool. I’ve got a music book of my father’s that’s dated back in the 40s, I think. I love old books in general, but it’s so special when they belonged to family. What a perfect gift for you! I see it says Z.H.S., what high school is that? That is a beautiful gift. I love it too. That is such an awesome gift, Stacy! How wonderful! Wow! That’s a book I would cherish forever! Wonderful.